The Love Connection Dies are more than meet the eye! Each ring is made from connected hearts. 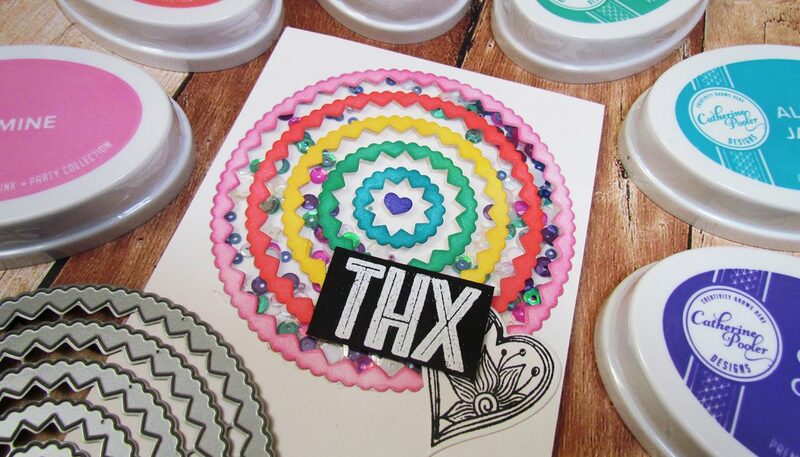 If you leave your dies attached and cut them all together the negative piece gives you circle die cuts with a zig zag edge! Don't you just love getting more mileage out of your stamps?! Die cut your Love Connection Dies and sponge a rainbow of color on them! In the video I show you how to use a piece of acetate, dimensional adhesive and sequins to create a fun shaker card. I can't wait to see how YOU are going to use your Love Connection Dies! I'm off to my craft room because I've got lots of ideas swimming around in my head for other projects to make with these great dies. Links below to check out all the goods in the shop, thanks for being here!